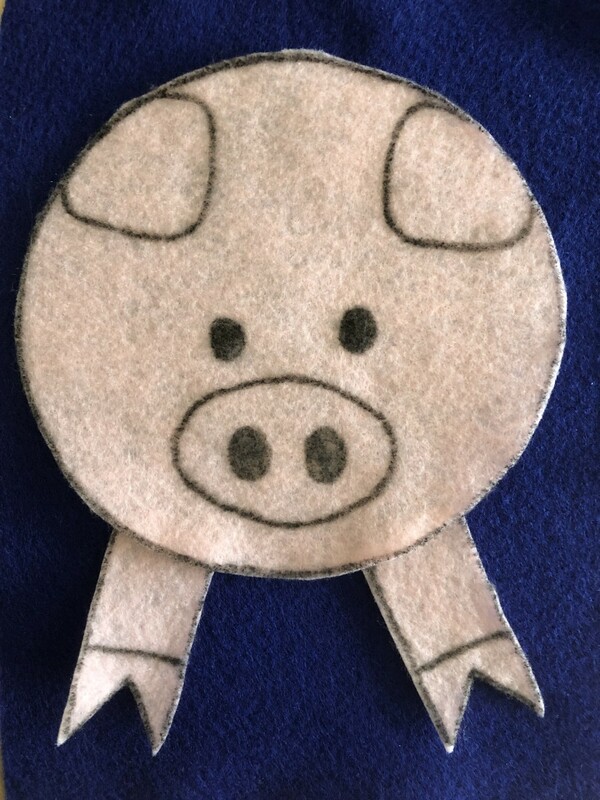 Little pigs are cute as can be, and children are generally familiar with them because they are farm animals. They make a natural theme for a story time presentation. I’ve included everything you'll need for a pig story time here. 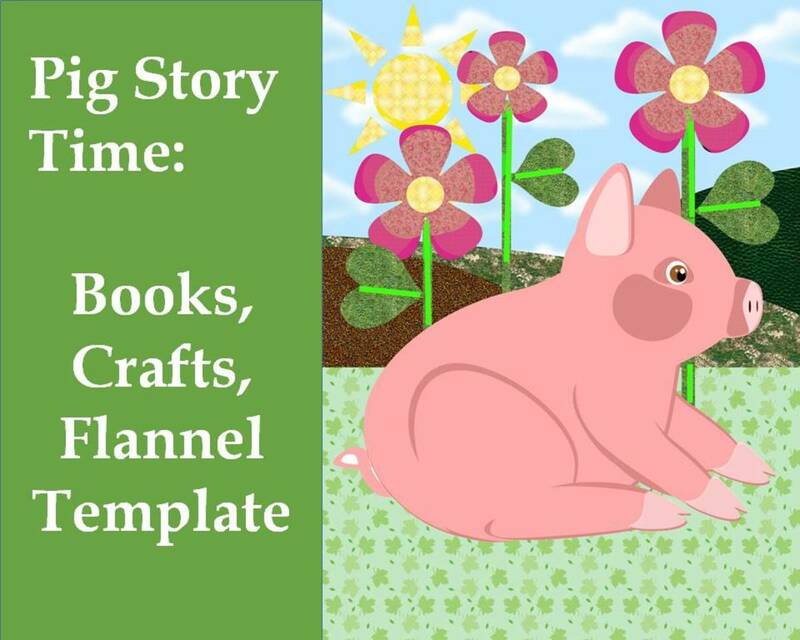 You’ll find book suggestions, coloring pages, and craft templates to print, plus a rhyming flannel board story. 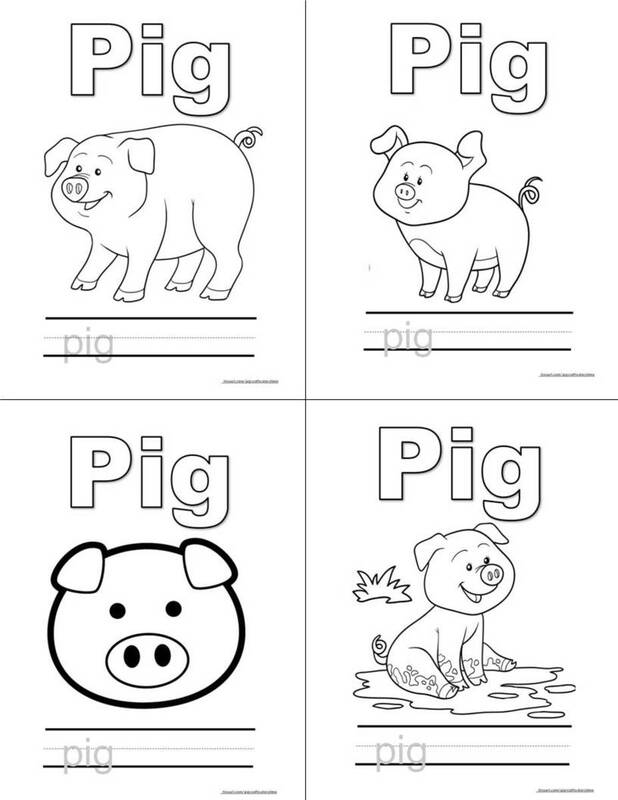 Below, I’ve listed a picture of the four coloring pages that are included in this article. 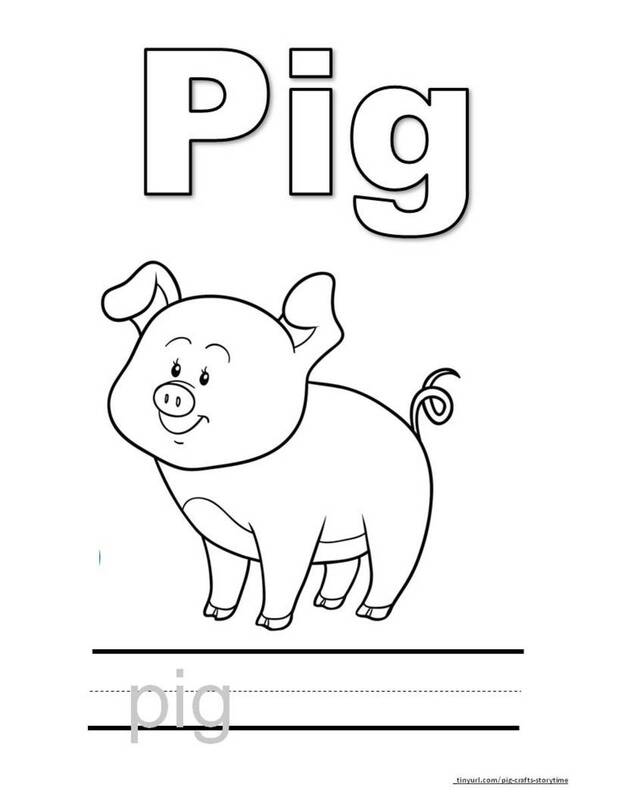 Each of them has a picture of a pig, a word to color, and a guided line at the bottom for the word “pig.” Here, you will find letters to trace, and then some space for them to write it on their own. If you’d like to get the printable documents for the coloring sheets, keep scrolling down until you see the orange link. That will take you to a pdf document you can print. 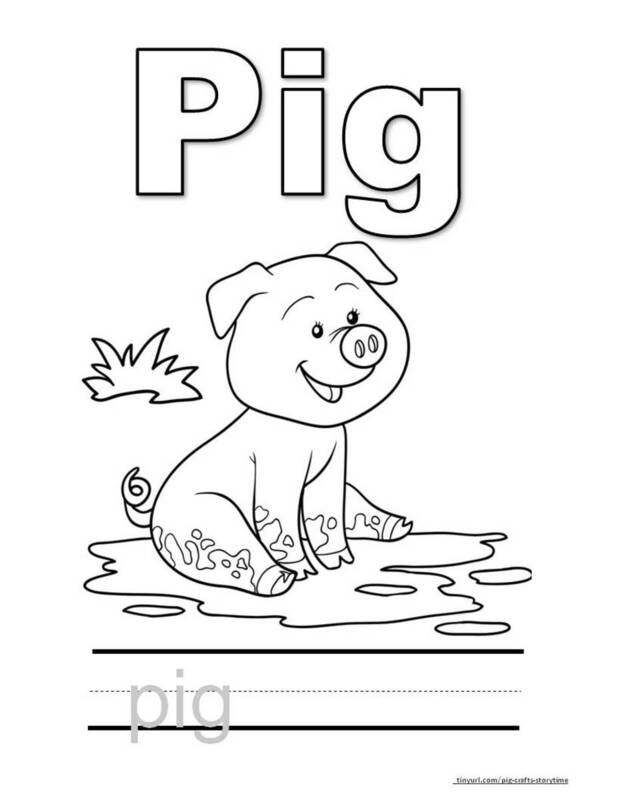 Here are examples of some coloring pages you can print off from this site. Click the orange link below to get to the pdf file. Below, I’ve listed a picture of the four pig crafts that are included in this article. 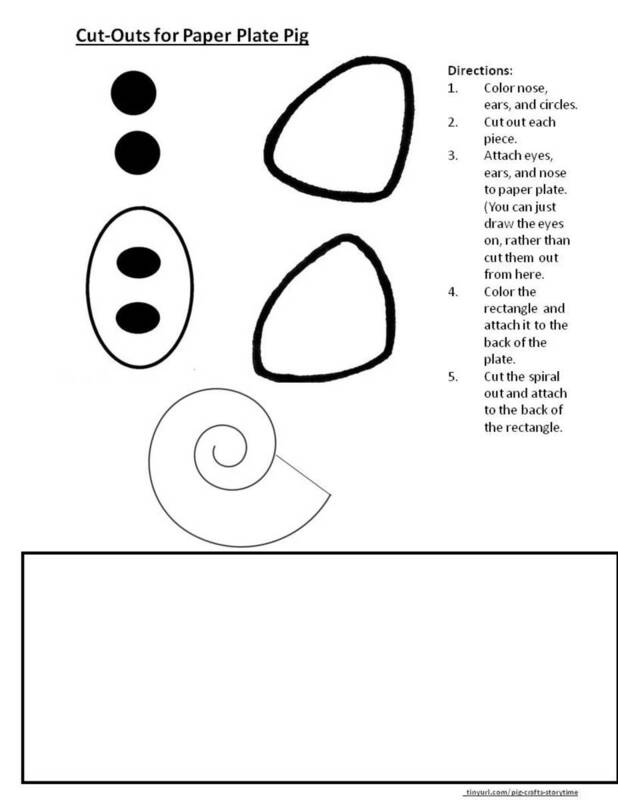 You’ll see a pattern to use for making a pig face from a paper plate. 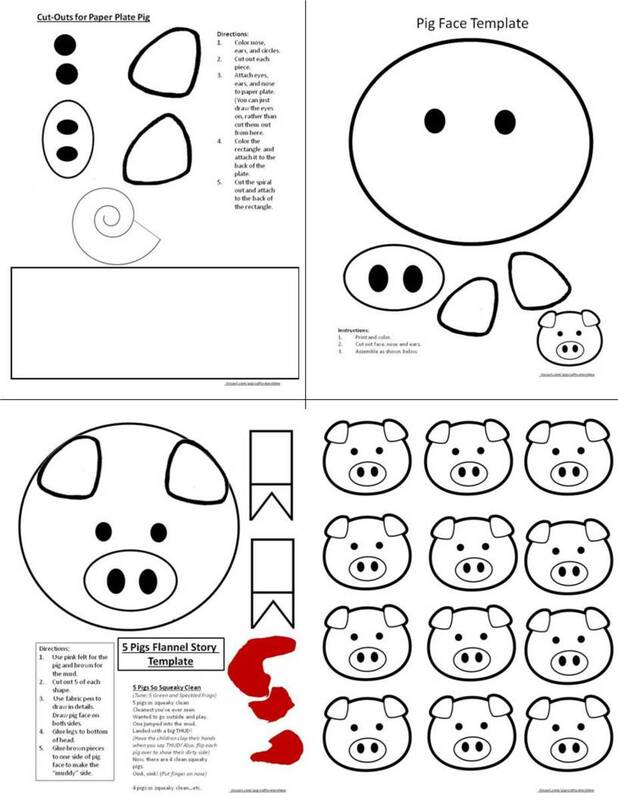 Then, there is a sheet that has a pig face you can color, cut and glue to assemble. 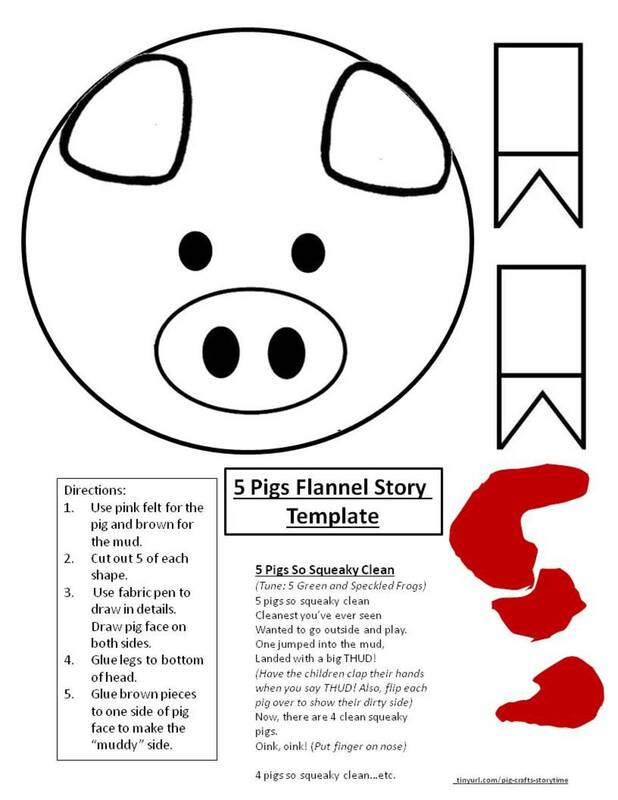 The third sheet has a template and rhyme for a flannelboard story you can do with the children. 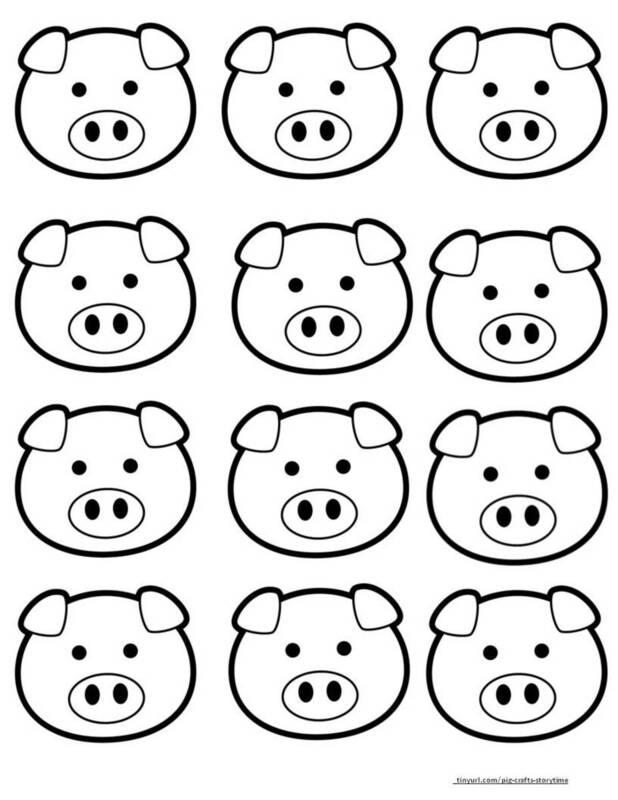 The fourth sheet consists of 12 little identical pig faces you can use for decoration, bookmark toppers, what have you. If you’d like to get the printable documents for these crafts, keep scrolling down until you see an orange link. That link will take you to a pdf document you can print. Here are examples of some craft templates you can print off from this site. Click the orange link below to get to a pdf document so you can print off the the pattern you'd like. 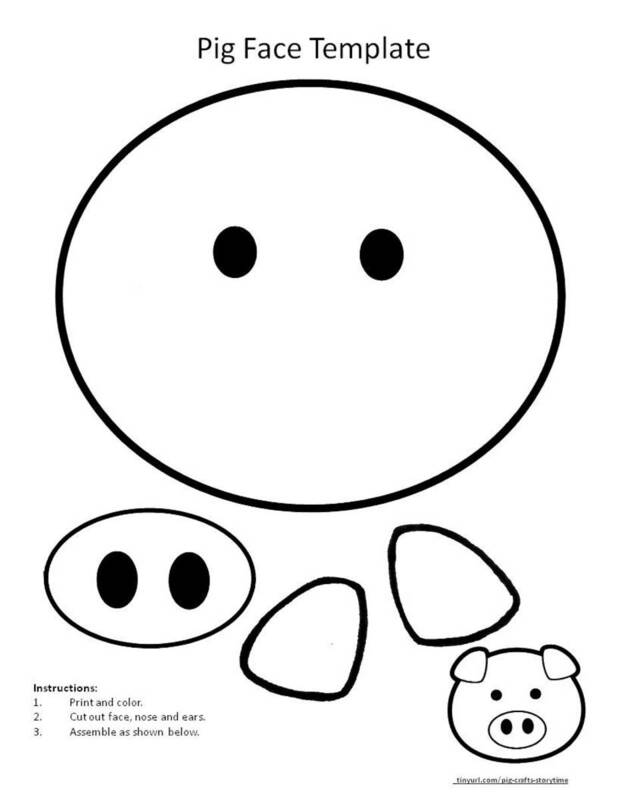 All of the coloring sheets and craft template are in one document. If you want just one or two of the pages, just make sure to set up your printer to print only those pages. 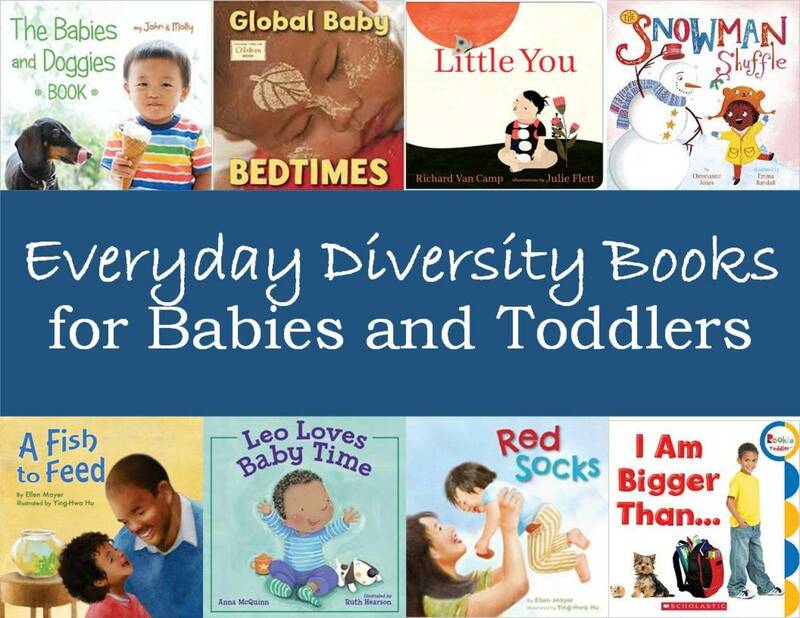 Following, you will find pictures and reviews of the books I like using best for storytime. Most of them are the right length and level for children ages 3-6 years old. I’ve noted the age ranges with each review. I always like to have a short factual book when I do story times, and this one fits the bill. 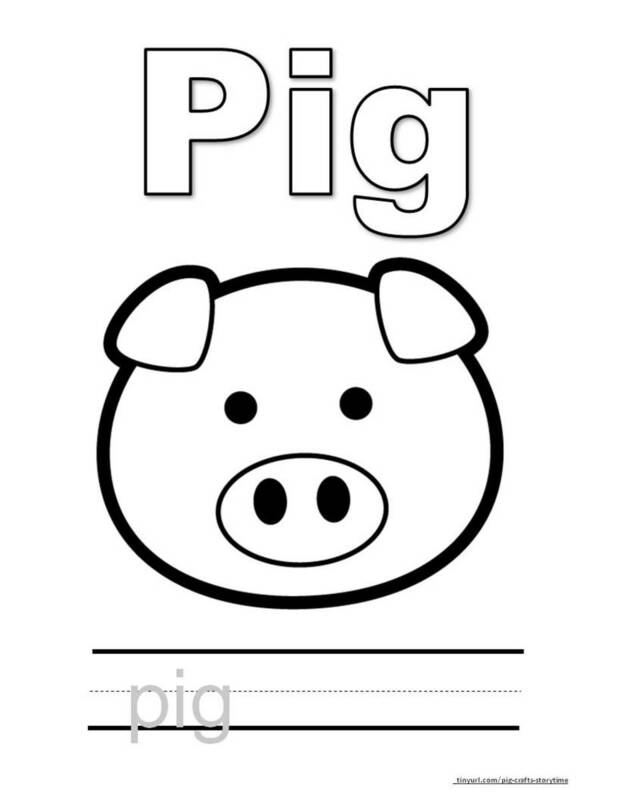 It’s an Easy Reader, meant for children who are beginning to read on their own, but I find it works well as an introduction to pigs for the younger set because it has short sentences and relatively large pictures. My mother, who grew up on a farm, would approve of the last sentence. I don’t know how many times she has told me that pigs are actually clean animals. Unlike horses or cows, they pick an area of the pen to “do their business” and keep the rest clean. It’s true, they do roll in the mud (if it’s available), but only when they are hot. Take a look at the pigs’ skin. They don’t have as much hair to protect them as other animals do. 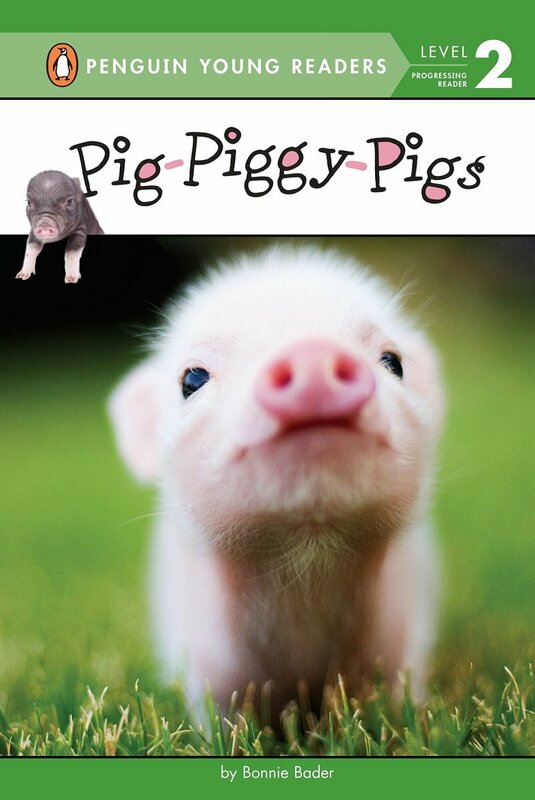 Soon, the book talks about the fact that pigs (especially the little ones, like the teacup pig) can become pets, and covers how a person would take care of a pet pig. Though the book is a little bit small, it is a nice introduction to an animal many children may not have seen in person yet. 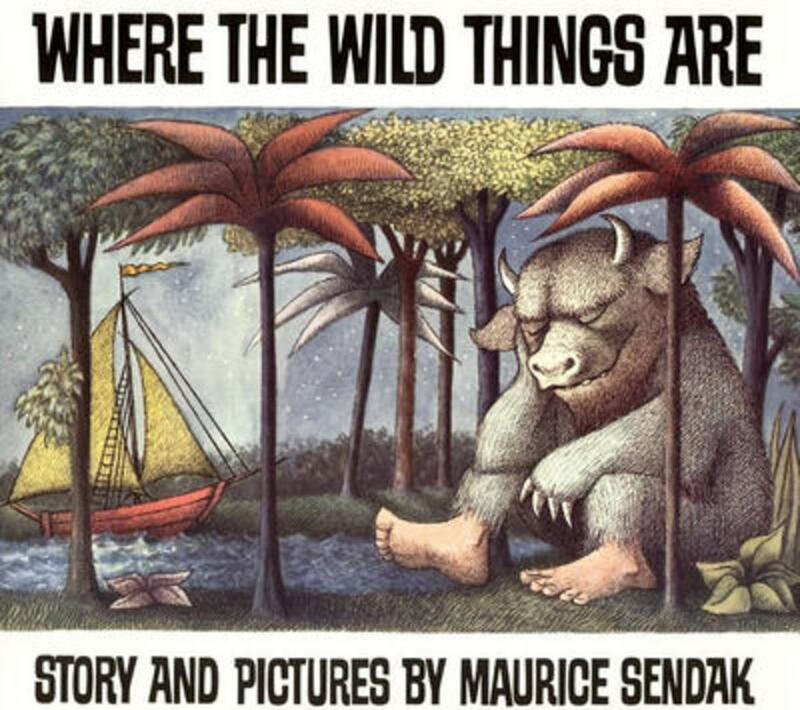 I love this classic folktale for telling with a group. It has all the classic ingredients: 3 characters, drama, danger, and repeated lines that the audience can say with you. 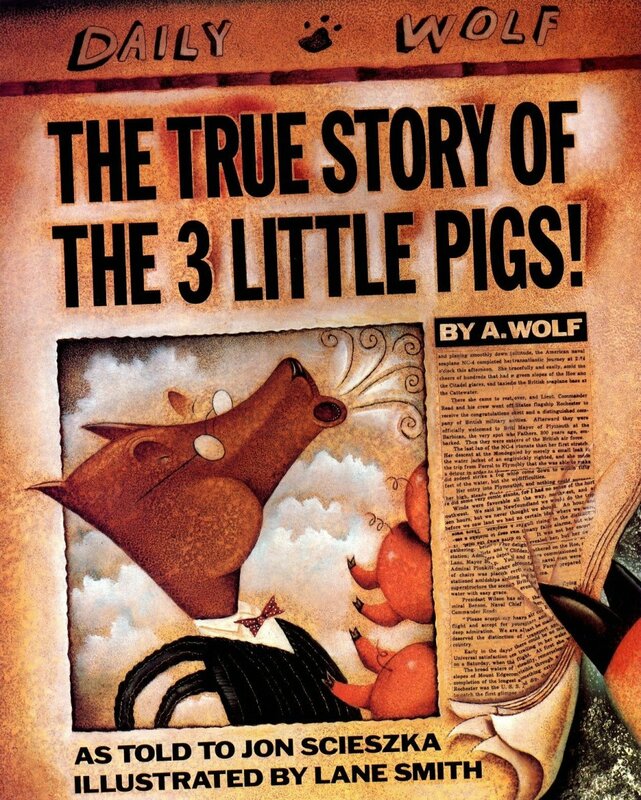 It is surprisingly hard to find a simple retelling of the story of “The Three Little Pigs.” You can find all kinds of adaptations (the three little javelinas, the three little fish and the big bad shark), but one that tells the story straight up in a picture book format is hard to find. After looking around for a while, I came upon this one which is a little smaller than a picture book, an easy reader meant for children who are beginning to read. 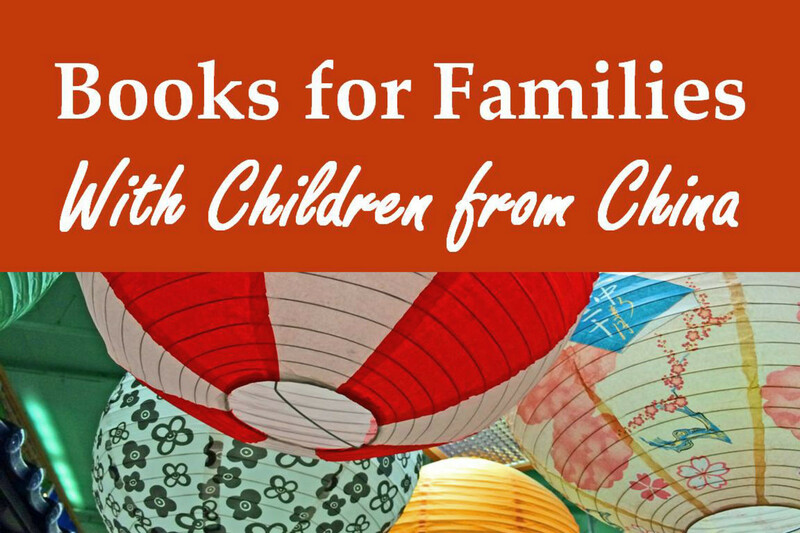 It has charming pictures and simple sentences, and I found it works well as a story time book. 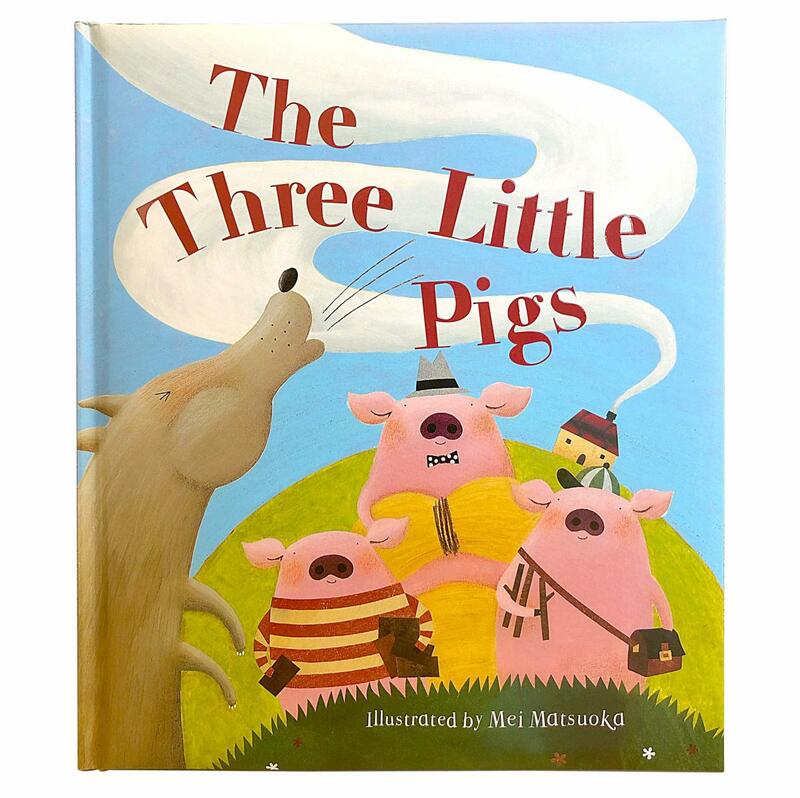 The story hits all the major plot points: 3 pigs, straw, sticks, bricks, bad wolf, huffing and puffing, etc. The one thing I miss is the line “Not by the hair on my chinny-chin-chin!” I throw that in for the children to repeat with me as I read the story. If you’re concerned about the sensitive children in your group, no worries. This is a gentler retelling of the story in which the wolf does not eat the pigs. Each little pig just runs off to join the others until the three of them are together at the end when they foil the wolf. 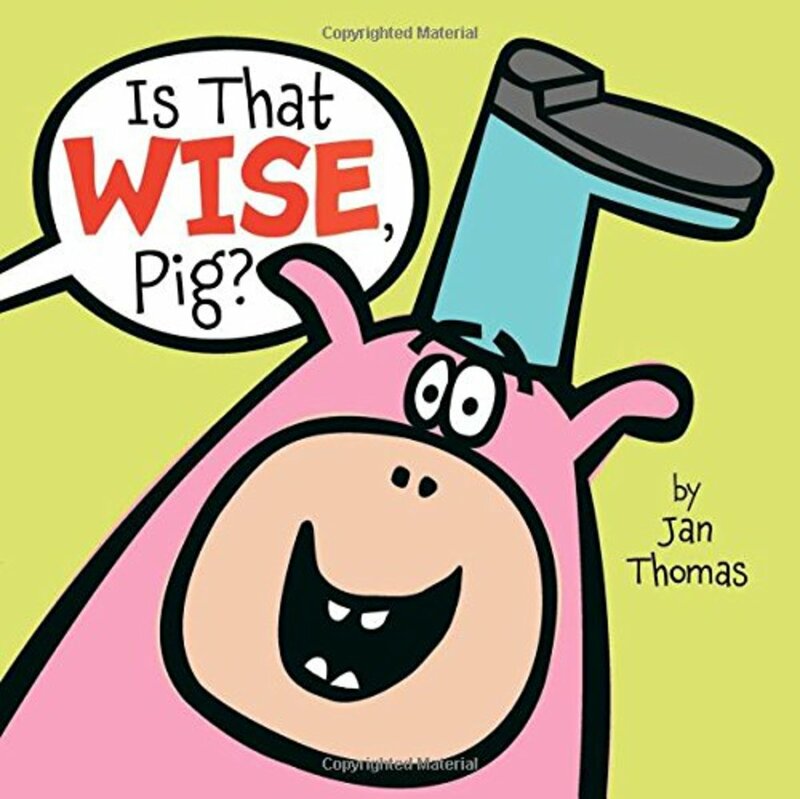 I think Jan Thomas is about the best storybook writer out there. Her books look short and simple (always a plus when you’re reading to a crowd), but they have lots of expression and a sense of humor that really tickles me and the kids I read to. Of course, it’s not wise, and don’t be surprised if your audience yells out to you that such things don’t go in the soup pot. There’s a nice little twist at the end when the pig invites 10 of her pig friends to come and they dive into the soup pot, making the umbrellas and galoshes handy things for the other animals to use. Behind the silly surface, there is a lot of learning available to little listeners. They can increase their vocabularies with words like wise, cabbages, (do kids eat cabbage any more?) and galoshes. The animals contribute increasing number of vegetables, so it is a counting book. You can ask the children to predict what will happen next. 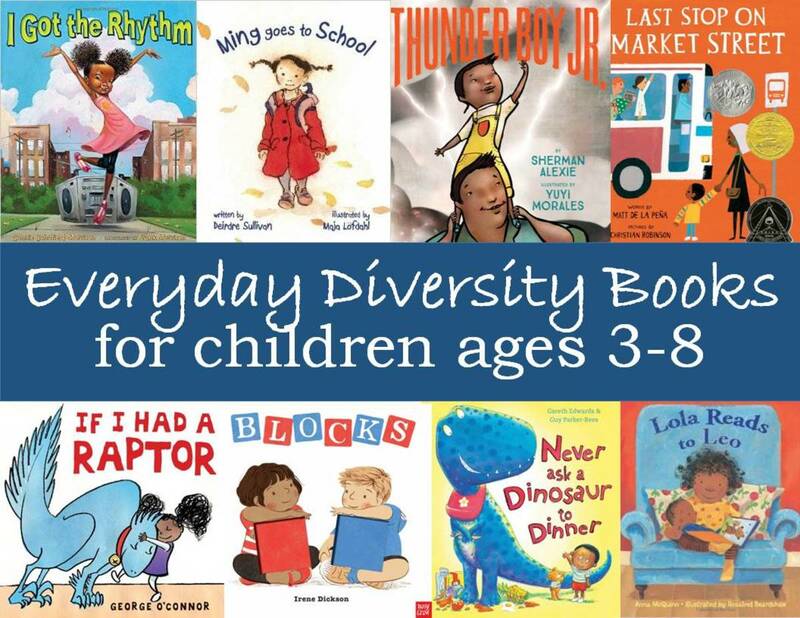 And, if you have a beginning reader, this is a great book to read early on because it repeats many of the same sentences in a simple way. Amy Krouse Rosenthal is my other favorite writer of storybooks for her inventive ideas and clever humor. In Little Oink we have a little pig who pretty much likes his life except for one thing: he doesn’t like making a mess. “All my friends get to clean their rooms,” little pig tells his parents. “Why can’t I?” Kids are sure to like the role reversal, seeing a creature who wants to live the opposite of the way they do. Mama and Papa pig won’t let Little Oink go out to play until he messes up his room, throwing the towel on the floor, taking his toys out of their box, and dragging everything in mud, among other things. When he’s finally messed up his room enough, he gets to go off to play his favorite thing: cleaning his tree house. It’s easy to get the comic timing right when you read this because Rosenthal places the words so well on the page, with the breaks coming right where you need them. 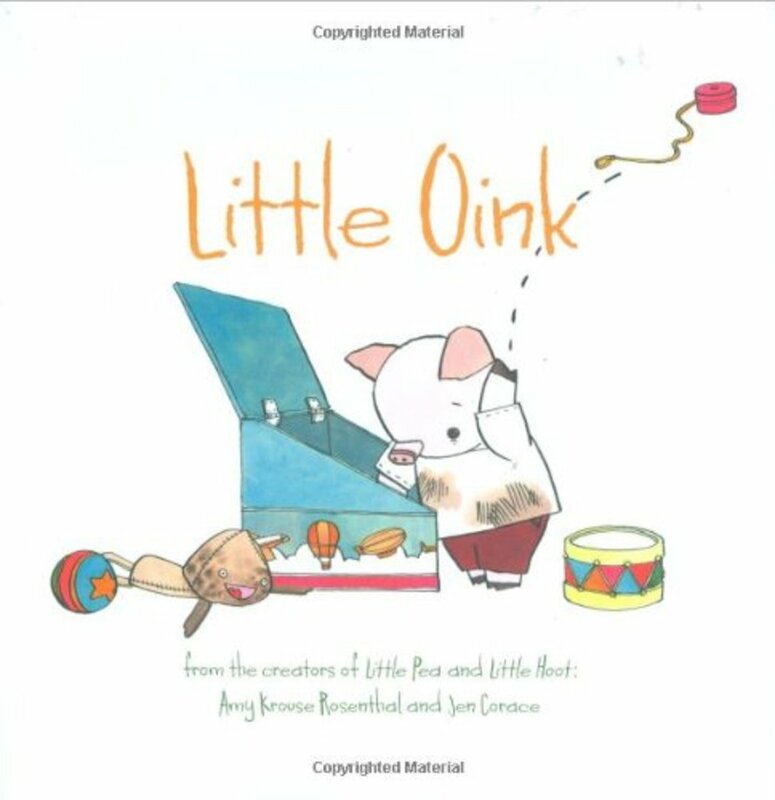 You can also throw in a little math with this book since Little Oink counts the ten toys as he takes them out of his box. The pictures are charming, but a little small. I haven’t found this to be much of a problem because the words really do carry the story nicely. However, if publishers would make a really large format version of this book, I’d be overjoyed. There’s nothing like a sneeze when you’re reading a book. It’s a natural way to invite participation. As soon as you say “Ah-ah-ah” the children know to say “CHOOO!” when you turn the page. Mo Willems, author of Pigs Make Me Sneeze used to write for Sesame Street, and his ear for dialogue and his way of turning out intriguing plots is on display here. 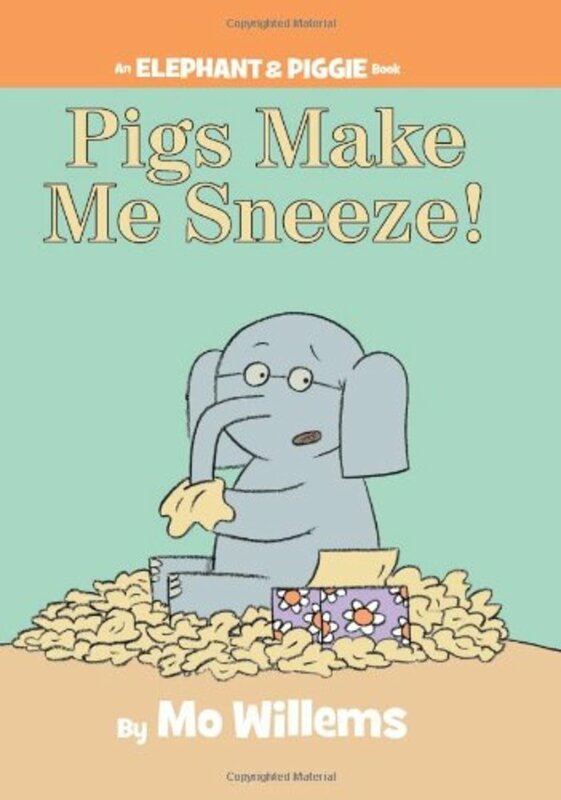 When his friend Piggie comes around, Gerald the elephant starts to sneeze, and he becomes convinced that he is allergic to his friend. He becomes increasingly distraught until Doctor Cat comes along and informs him he has a cold. Gerald is so happy that he can still see friend that he rushes over to Piggie to tell him the good news. Piggie’s reaction is a little muted as he wipes his nose with a tissue. It shouldn’t take too long for the children to figure out that Piggie has a cold, too. Elephant and Piggie have many adventures in a series of books, and they’ve won a fan base all their own. Our library was able to rent Elephant and Piggie costumes, and when our staff dressed up as them and had a meet and greet, I overheard one young boy urge his mother to finish with checkout sooner so that he wouldn’t miss the two of them. 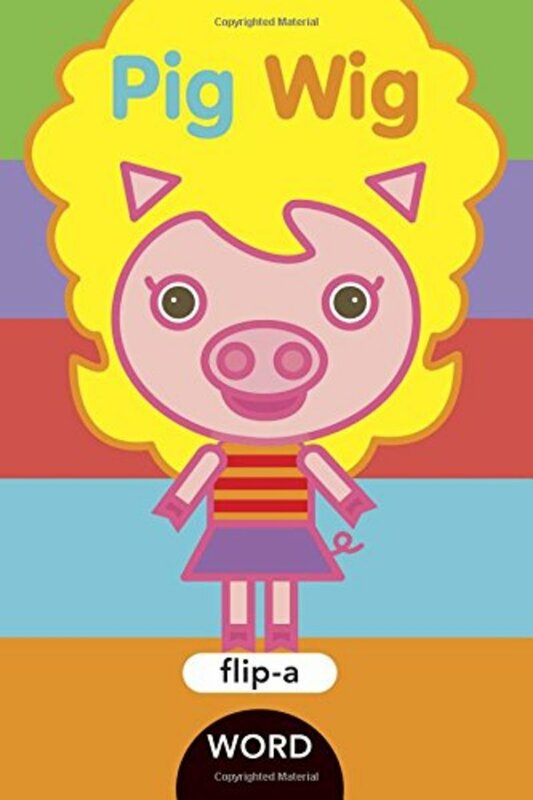 I’m going a little out of the box with Pig Wig because it’s really an easy reader, meant for children learning to read on their own. However, I like to end story time with a really short book, and I think this one would be valuable because it introduces children to how letters make sounds, and how beginning sounds can be changed to make rhyming words. 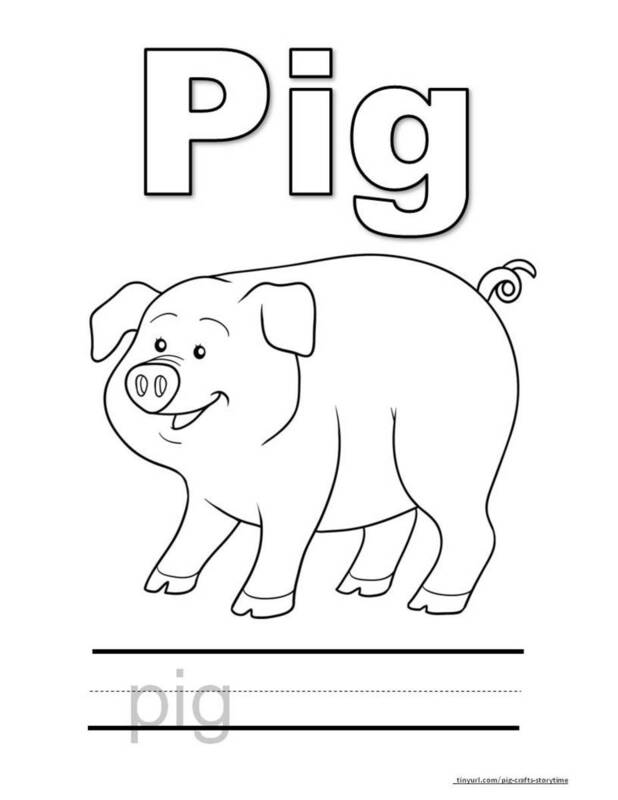 On the first page, we see the word pig. There is a little cutout around the letters so that when you turn the page, the ig still shows, but the first letter has changed to j so that you have the word jig. You have the same process happening to change the word into wig and then pig. On the next pages, the words are combined pig wig, big pig, etc. With this book, I’m not expecting the preschoolers to get it after one reading (thought kindergarteners probably will), but I want to introduce them to the idea that they can change around initial sounds to get rhyming words. It’s also good to introduce these books to any parents in the audience so they will be able to get them when their children begin to read. 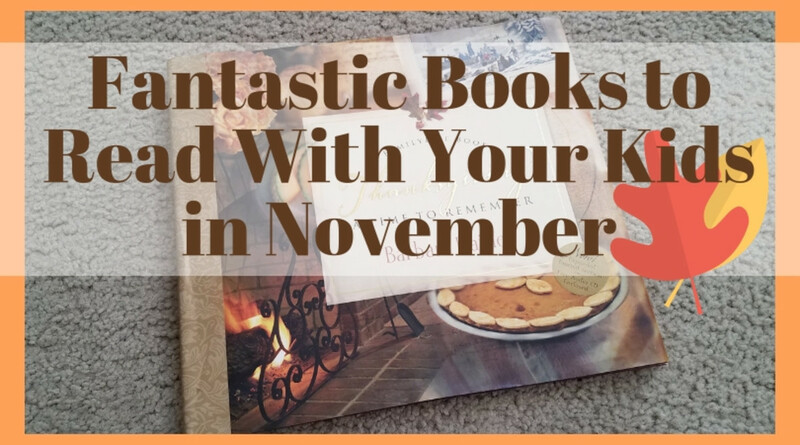 Because they are so short and they work with the same sounds, they can give children a sense of mastery and confidence early on in their reading careers. 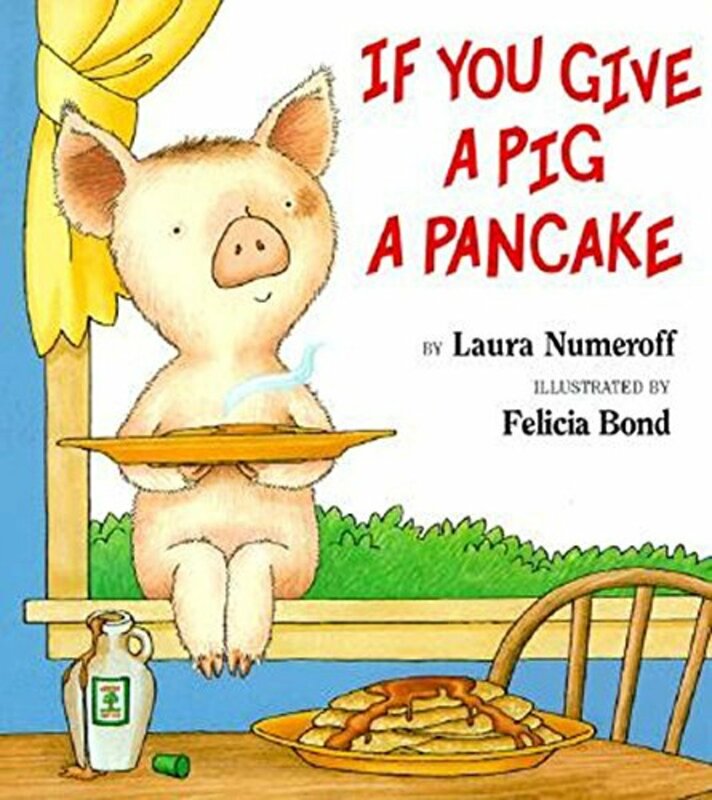 If You Give a Pig a Pancake is Numeroff’s porcine version of her popular circle stories. If you give a pig a pancake, she’ll probably want maple syrup. Then, she’ll get sticky, so she’ll want to take a bath, which will prompt her to ask you for some bubbles, and then your rubber ducky. And so on, with one thing leading to another as new things occur to the pig. At the end of the story the pig has worked around to hanging wallpaper. The glue reminds her of maple syrup, which leads her to wanting—you guessed it—a pancake. Felicia Bond’s pictures are just adorable, and this story lends itself well to having the children re-tell it, trying to remember which item comes next, a good exercise in remembering. In this book, Scieszka flips the viewpoint and tells the story from the wolf’s point of view. The wolf admits to eating the first two pigs, but he maintains they died of fright when he showed up and sneezed because of the cold he had. Since they were no longer with the living world, he ate them. “Think of it as a big cheeseburger just lying there,” he tells us. The genius of this story lies in the wolf’s voice. He’s playing innocent, trying to get us to believe his side of the story from the jailhouse where he’s been taken. He has some great turns of phrase, and it’s fun to ham it up (sorry, pun intended) when you read his narrative. Lane Smith’s illustrations are just fabulous and, I suspect, a big part of why this book was chosen as one of ALA’s top 100 books for children. Scieszka has been active in writing stories and compiling collections that boys especially would like to read. He has served as children’s poet laureate, a sort of ambassadorship post to promote literacy. The rest of this article has full-sized photos of each of the coloring pages and craft templates. If you want a nice printout, scroll up until you reach the orange link which will take you to a pdf document of every sheet. You can also copy the pictures below and paste them into a document. That is the thing to do if you want to resize any of these patterns, but the resolution is not as good as it would be if you printed from the pdf document. Cut out the pieces from pink felt. This side is the clean side of the pig. 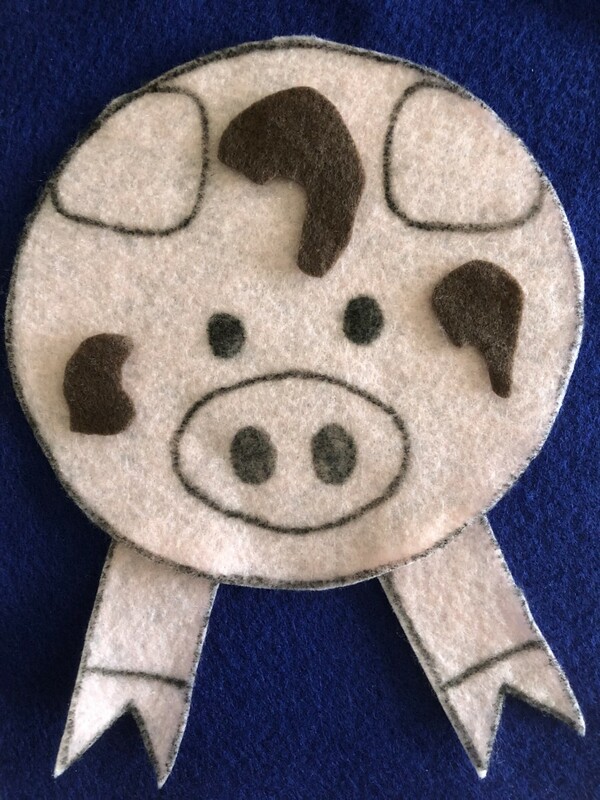 Cut out another face for the other side of the pig, and cut mud splotches from brown felt. Flip over to this side when you get to the part in the rhyme when they jump in the mud.